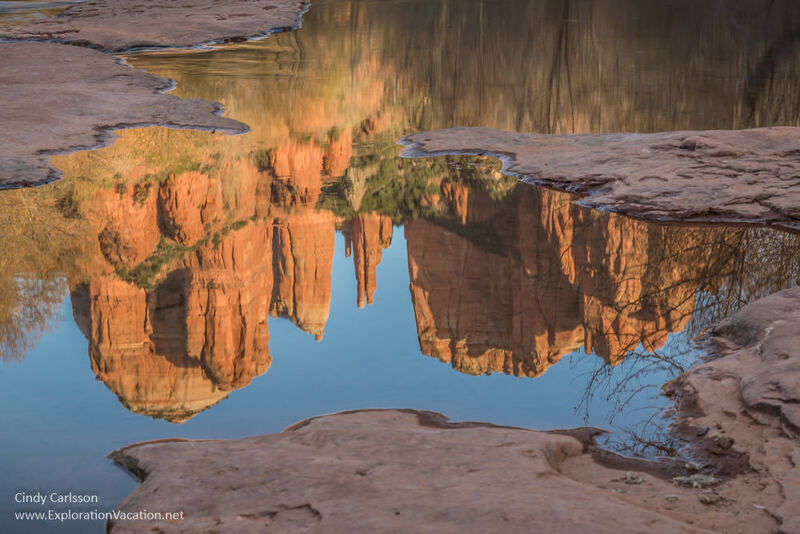 A perfect end to a day in Sedona, Arizona, can be found amid the rocky outcrops in Oak Creek as the setting sun illuminates Cathedral Rock and turns the river itself into pools of reflected gold. The easiest (and most popular) access to Red Rock Crossing is from the Crescent Moon Picnic Area. 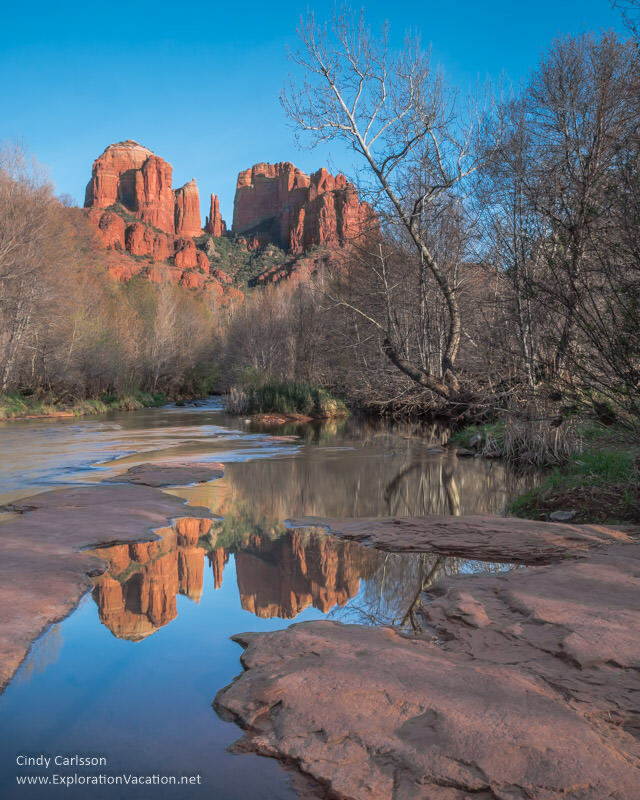 However, I prefer entering the area from the other side of the creek, where trails lead to a series of red rock ledges that provide the perfect seating for a sunset vigil. A national park or a Red Rock pass is required for parking at the trail access. A separate fee is required to enter the Crescent Moon site. In either case, bring a flashlight if you are planning to stay for sunset. ← Previous Previous post: No ice on the road in Arizona!